You can’t imagine life without air conditioning but that doesn’t mean that you want to pay loads of money to run your system either. Keeping your air conditioning system running efficiently can be simple or complex — depending on different factors. Here are some ideas to get you started. Yes, replacing an aging system means a sizable outlay of money. You’ll recover the money that you spend within the first few seasons that you use your new air conditioning system. 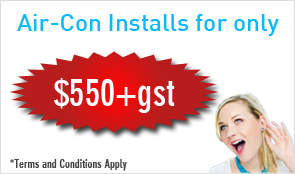 Some air conditioning installers might offer payment plans that can help ease the cost of installing a new unit. If your air conditioning system is fairly new, you probably don’t need to replace it in order to improve its efficiency. However, scheduling regular maintenance can increase the unit’s efficiency and reduce your energy costs. It’s easy to think that a newer unit doesn’t need maintenance on a regular basis but it is this specialised attention from a highly-trained professional that will help ensure that the unit works as well as it can and last for years to come. Your insulation keeps the air conditioned air from passing through the walls of your home and being whisked away outside. Make sure that all of the rooms that you are trying to keep cool have enough insulation. If your insulation is old, consider having it replaced with newer, more efficient products. The cool air can find its way outside your house through cracks in your windows, under the doors, through the electric sockets and other ways you might not even know about. Contact your energy company and ask if they perform energy audits for homes. You’re probably thinking that the ideal temperature is a matter of personal preference. While that might be true, there is also a temperature that is considered both comfortable and energy saving by energy experts. Keeping the thermostat set at 25 degrees keeps humidity at bay, reduces energy use and still makes you feel cool. Does your air conditioning system need to be maintained this season? Contact us today and enjoy a more energy efficient air conditioning system tomorrow.